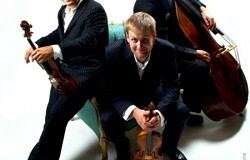 Their music combines elements of classical, country-western, jazz idioms, and string. “Girls Night: the Musical” will get you up on your feet dancing and laughing the night away. An off-Broadway production of “Girls Night: The Musical” is now playing on campus through Oct. 29.